LEAP PAL Parts supplies a variety of PAL-XT syringes. We proudly distribute our own brand of syringe, the L-MARK®. 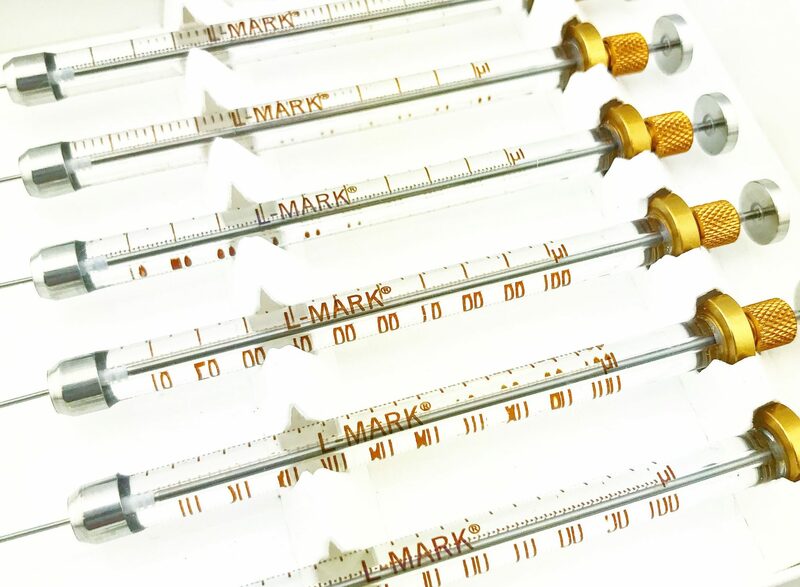 L-MARK® syringes are engineered and manufactured in Germany with the goal of providing high-quality syringes at a reasonable price point. These attributes make the L-MARK® the preferred syringe brand for many users and labs worldwide. LEAP PAL Parts also distributes HPLC syringes from other quality manufacturers such as Hamilton and SGE.